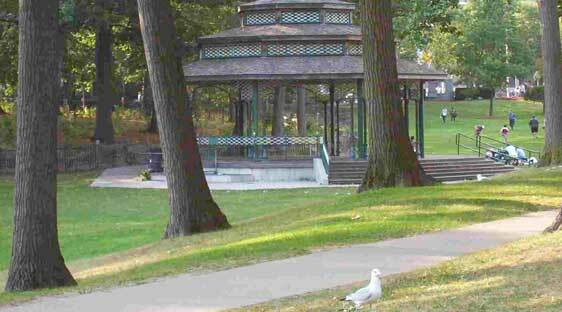 Located in the Beaches neighborhood, this large park has something for the whole family. You can play some tennis or relax in the wading pool, and kids can enjoy the playground. In the winter you’ll even find an artificial ice rink and a fire pit. More importantly, there’s an area where you can let your dog off the leash to play. Enjoy a day at the beach and bring your dog with you. Find the dogs an off-leash area of the beach where your pooch can run around in the site, make furry friends, or even go for a swim. You’ll also find bike trails, picnic areas, and food trucks in the summer, for a day out that the whole family can enjoy. Fortunately, many of Toronto's cafes and restaurants allow you to hang out with your dog in their outdoor areas. One such place is Last Temptation, an affordable restaurant located right in the middle of Kensington markets. Relax on the patio with your dog as you take in the sounds and sights of the market, while enjoying some food and drinks. Yes, you can bring your dog on a two-hour daytime or sunset cruise in Toronto. Enjoy drinks and snacks from the fully-licensed bar, explore the ship, or simply relax with your dog as you take in the beautiful views and enjoy sailing. Take your dog to this pet-friendly brewery, which welcomes dogs. You can sample their tap-beers as your dog makes some new furry friends. The owners love dogs, as do the staff, so your pup can expect five-star treatment. They also host regular food and drink events and workshops. Located on King Street, the detox market allows you to shop for pure yet effective beauty products including makeup, body and bath products, skin care, hair care, wellness items and more, all with your dog at your side. Visit with your pooch between 9am-7pm on weekdays, and between 10am-6pm on weekends. 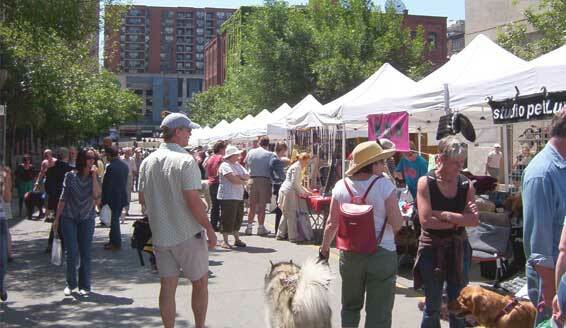 North America’s largest festival for dogs takes place annually at Woodbine Park, in the dog-friendly neighborhood, the beaches. Tens of thousands of dogs visit each year with their owners for the two-day party that includes contests and fashion shows as well as hundreds of vendors from across North America selling everything your furry friend could ever want.